It’s time to put on make up its time to light the lights. 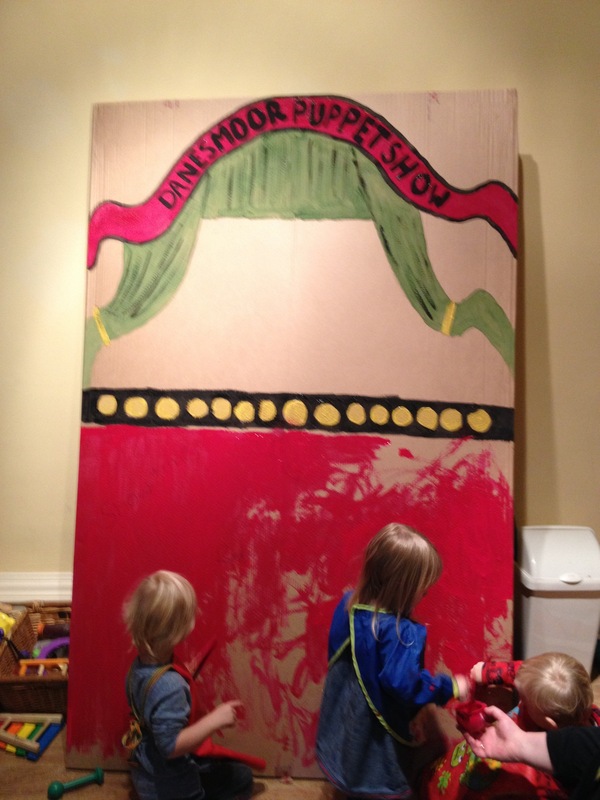 A great big thank you to the toddler room for helping paint our new puppet theatre. The children will be able to use it to tell stories of their own as a traditional puppet show or as a shadow puppet theatre. I can’t wait to see it in action.